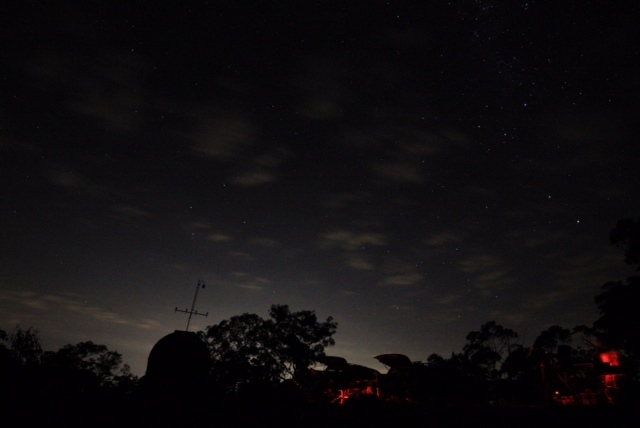 The club holds regular observing nights for its members at the Linden Observatory site in the Blue Mountains. All visitors to the Linden site must arrive by sunset so that suitable parking can be arranged and enable you to get an overview of the site while it is still light. Visitors may be required to park off-site near the entry gate. On arrival, ask to see a committee member so that we know you have arrived. Please make sure that all car lights are disabled to limit excess light flooding the observing fields when you return to your vehicle or are leaving the site. Entry fee is $10 per person per visit which is payable upon arrival to a Committee person. These donations are used by the Linden Trust and WSAAG for upkeep and improvement to the site. Members are not required to pay the entry fee as part of their annual membership subscription covers this cost. Linden is a dark site set aside for astronomy purposes. A red-light torch (or torch with red cellophane) is required when walking about the site at night for safety reasons as the terrain is uneven. Also, red light helps to maintain dark adaption for night time viewing and limits the detrimental effects caused by bright lights. Excess light will interfere with most astronomical pursuits so much so that data collection could be corrupted to the point of being totally useless. MEMBERS AND VISITORS ARE NOT PERMITTED TO USE A MOBILE PHONE AS A TORCH OR AS A CAMERA AFTER SUNSET. You should be aware that facilities are very primitive - outside toilets and storage shed with sink. Bring your own refreshments if required. All visitors enter the site at "their own risk". We do not allow children under the age of 12 to attend club functions at Linden. Obviously, this is a dark observing site that is used for astronomy purposes. Also, the observing fields can be littered with a variety of telescopes that are expensive, heavy and may have numerous cables that are linked to peripheral devices such as computers, cameras and power units that are potential trip hazards. There is no lighting and there are many rock outcrops and high escarpments that create fall risks for wandering kids. The combination of all these issues leads to serious safety concerns for all observers and especially young children. All children, regardless of age, must be supervised vigilantly by their guardians while on site. 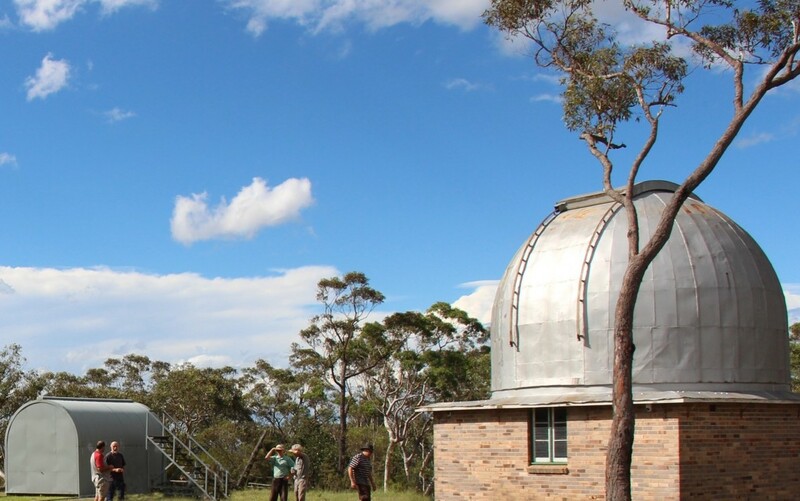 For families with children, we recommend Penrith Observatory at the Western Sydney University. Visitors may look through a member's telescope only where invited to by that club member. 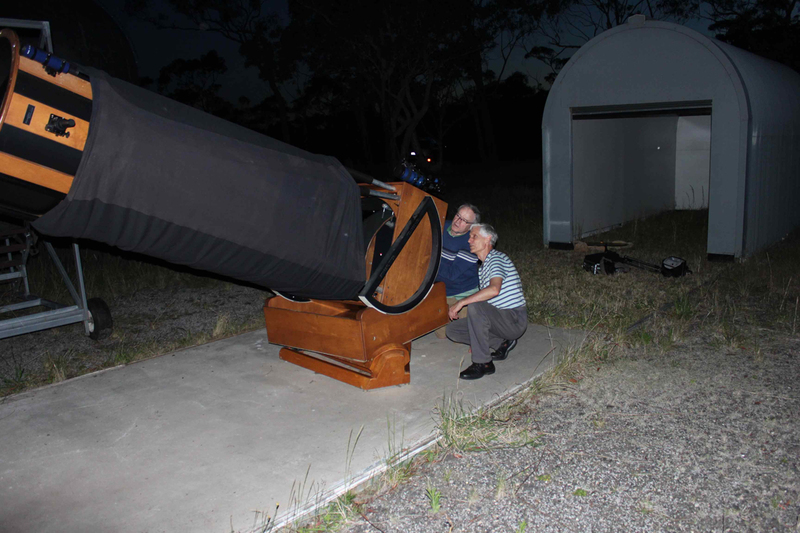 It should be noted that members will be giving up their own observing time to show visitors around the night sky. 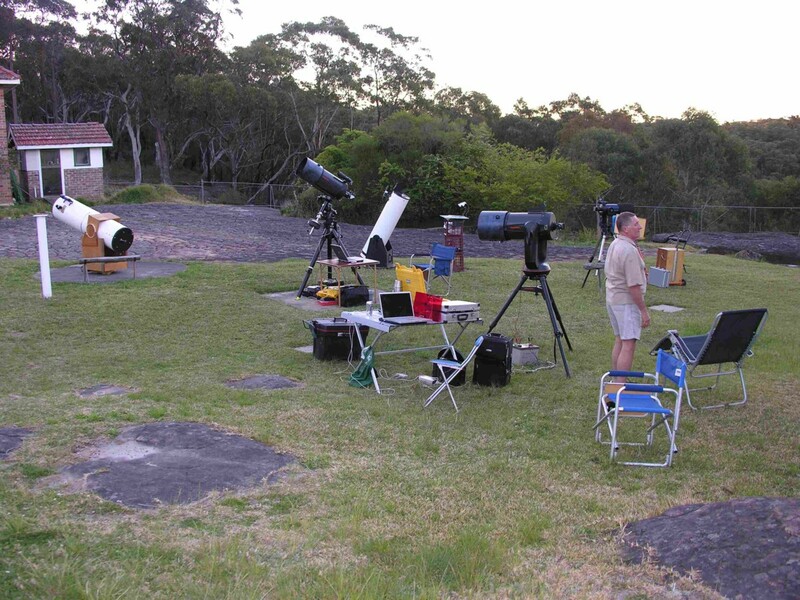 Most of the telescopes on site are brought to the site by individual club members and are owned by those members. No smoking is permitted at the Linden Observatory site - this includes all grounds and buildings. No pets are to be brought onto the site as it is a wild life sanctuary. Please note that the Linden Observatory site is heritage listed and is surrounded by National Parks. Anyone who enters the property has an obligation to act in a responsible manner to safeguard the site at all times. Visitors to Linden should wear closed-in shoes and not open sandals or thongs. Appropriate clothing should be worn as it gets quite cold at night, especially in winter. In the hotter months, it still gets cold at night and in addition you need to apply an insect repellent because of mosquitoes. If it is very cloudy, raining or windy, observing will likely be cancelled. If not sure, check with a WSAAG committee member before making the trip to Linden otherwise you may be disappointed if observing has been cancelled. In those circumstances where observing has not been cancelled we cannot guarantee good weather on the night or that observing will be possible. We ask that visitors leave no later than 3 hours after sunset to allow all members to continue with their own observing. Visitors are expected to act responsibly while on site and follow any reasonable directives given by a committee member. Please let us know when you are leaving the site so we can assist – we ask that you drive slowly and dim your car lights when arriving or leaving. The old Beames' Observatory (Dome) and its 24" telescope are not operational and only have historical value as it is impractical to use for observing. It is not open to the public. 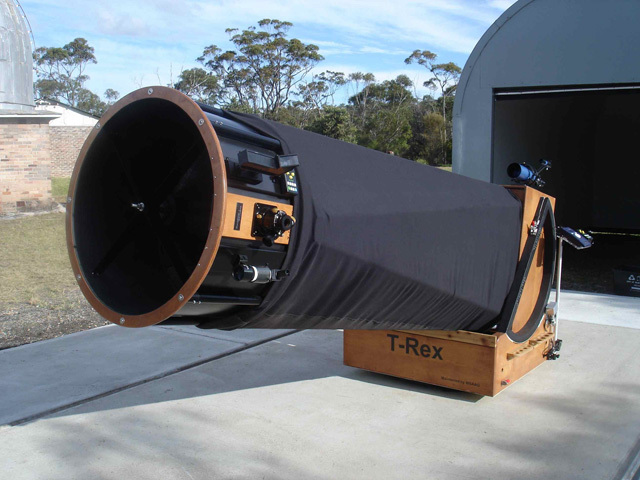 Due to public risk and safety concerns, members of the public are not generally given access to the Evans 30" Telescope. From Penrith, take the Great Western Highway, to the Blue Mountains, and travel for approximately 30 minutes. A road sign for Linden appears approximately 2 km or so before the Linden turn off. A street sign for Tollgate Drive, on the left hand side of a sweeping bend, indicates the turnoff for Linden. Tollgate Drive curves back over the Great Western Highway via a narrow bridge. Watch for oncoming traffic. After crossing the bridge, take the first turn right into Glossop Road. Travel the length of Glossop Road as the Observation Site is the last property. Below are some pictures taken at the site. Click on a thumbnail to view a larger picture.